Goa has some high-class hotels which can bring out that best sigh from your lips. Of course, their tariffs can make you pee in your pant. But the trick is to either look for discounts under Goa packages or to plan your trip during the rainy months (June-September) when the tourist count is low and the hotel rates plunge. 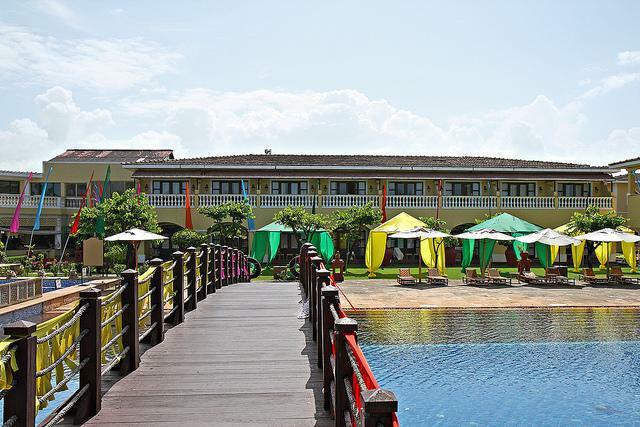 Taj Vivanta Holiday Village: This hotel’s biggest USP is that it enjoys a good location in north Goa. Baga Beach and Anjuna Beach are less than 30 minutes away. 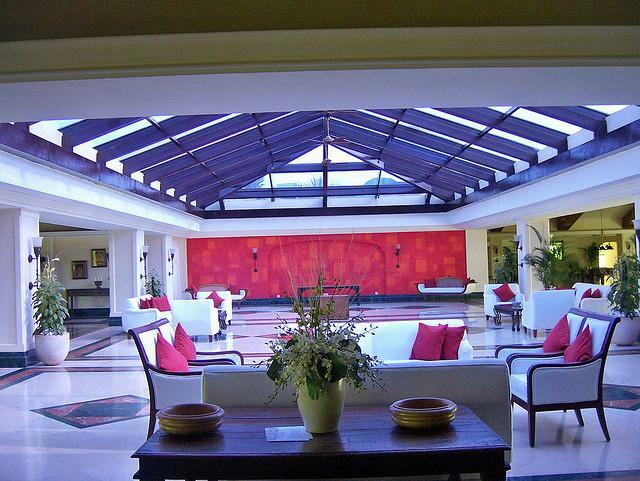 The hotel has a pool and a bar and is considered ideal for family holidays. Price pinch will be around $175-250 (depending on the season). 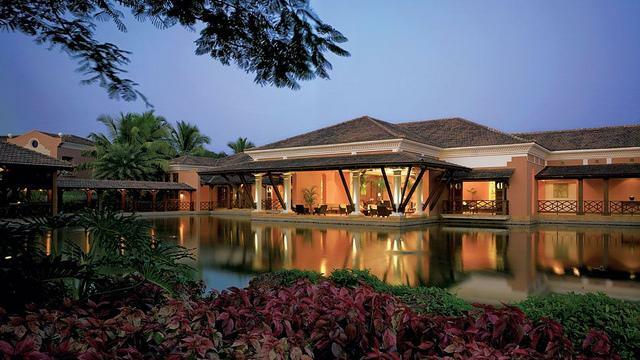 The Leela Kempinski: Nestled around a private beach, this resort in south Goa offers you a golf course, swimming pool, casino, spa and some exciting water sports. With fascinating views and services, the Leela Kempinski is just ‘wow. But you must be ready to shell out anything between $200 and $330. Taj Exotica: It is quite similar to The Leela Kempinski in terms of facilities, services and tariffs. 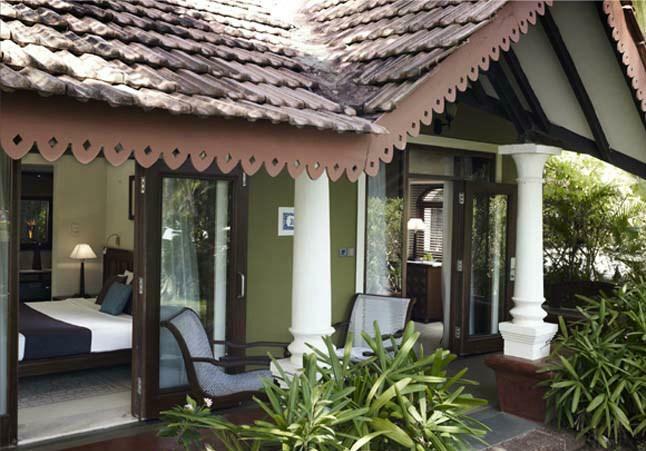 It is situated in South Goa as well, perched around the Varca Beach, a favorite corner of the quintessential recluse. 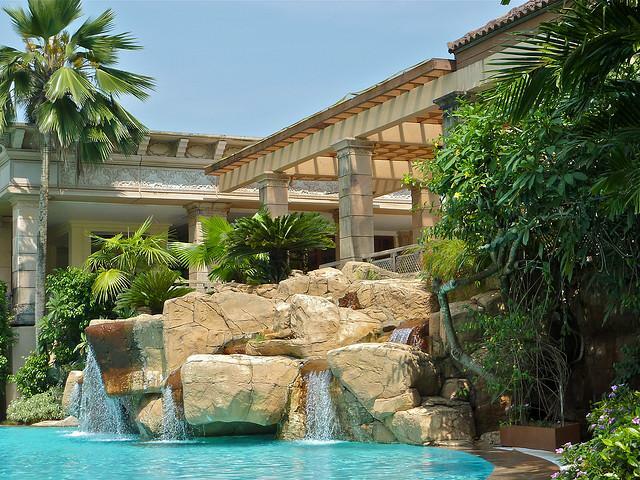 Pool, spa, nightlife and golf course are what you get to feast on. Tariffs will hover between $220 and $330. Park Hyatt Resort and Spa: If you wish to prioritize the ‘spa’ factor, then this resort is the one to head to. Situated over South Goa’s Arossim Beach, Park Hyatt is another luxurious property with a great spa, pool, beach sports and other expected facilities. The rates will be somewhere in the region of $200-250. But you can extract some discounts with cheap Goa packages. The Intercontinental, Lalit: At Patnem Beach, it is cut off from North Goa completely and may not have the best location. But for someone looking for isolation, a quiet holiday, the delights of spa, pool, casino and golf, and to admire a Portuguese architecture, this one is perfect. It is also tariff-friendly at $180. How to reach Goa from Delhi: Daily flights are available, but you can also catch a train if you don’t mind the hassles of IRCTC. This entry was posted in Goa, Holidays, Hotel, Travel and tagged Baga Goa, Goa hotels, Park Hyatt Chennai, South Goa. Bookmark the permalink.